Take a Virtual Tour of One of Our Homes Here: <a rel="nofollow" target="_blank" href="http://view.openhouse.tours/tour/?kch-7055CreekCrossingDr">http://view.openhouse.tours/tour/?kch-7055CreekCrossingDr</a> Keystone Custom Homes is Central Pennsylvania's leading home builder and one of the Top 100 Builders in the nation. We are the first builders ever to be named America's Best Builder three times by Builder Magazine in conjunction with the National Association of Home Builders, a 200,000-member trade organization. 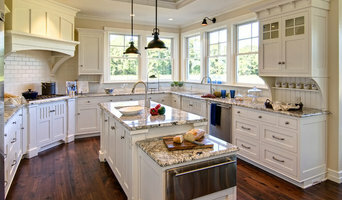 America's Best Builder is considered the most prestigious award that a home builder can achieve. Keystone Custom Homes' success is driven by the simple philosophy to build above and beyond for customers, fellow team members and the global community. We are an award-winning, family-owned designer and builder of new homes and communities in Central Pennsylvania. As one of Central PA’s leading local homebuilders, we offer home buyers a choice of 30 new home communities (single family, town home, and 55+ maintenance free communities) or home buyers can opt to build on their own lot using one of our 80+ floor plans or a custom design. We go to great lengths to ensure the satisfaction of our home buyers and assign a sales and building team to each neighborhood with 24 hour accessibility. Every Landmark home is constructed with quality, name-brand products, and various customization options. From the placement of the windows to the location and flow of the rooms, each Landmark Home is designed with a buyer’s comfort in minds. And wherever and whatever you choose to build, you can rest assured that your home is backed by our builder warranty. Every detail counts when buying a new home, and those details can add up to extra costs you might not have been expecting. That’s why we encourage you to pay attention to the details when comparison shopping for your new home. Call us today to make your dream home a reality! The Ultimate New Home Experience Welcome to Fine Line Homes – your source for the best home plans and designs in Central PA, Northeast PA and Southern New York. Fine Line Homes’ mission is to make it easier to build the home of your dreams. From how Fine Line homes are built, to the materials used in construction, to the support team at your side, Fine Line has revolutionized the home building process to make it more convenient, simple and fun! Grande Construction has been in business over 33 years. It's a family owned business that was started over 33 years ago and offers family loyalty, trust, and quality in each individual home that is built. We go above and beyond for our customers, and each and every one of them is treated like a family member. Grande Construction brings old school values to a new generation business. Quality, loyalty and pride in their craftsmanship is what is heavily concentrated. Grande Construction has delivered a quality Grande home to more than 4,000 families. Operating daily at this level of passion and dedication, Grande Construction doesn't build houses, they create homes for families. Grande Construction puts quality over quantity and always goes above and beyond for their homes buyers. With thousands of lots in inventory, Grande Construction will continue building dream homes for Berks County Residents. We are "Certified Green Professionals," accredited by the National Association of Home Builders. Whether you are building a custom home, renovating your current home, or need a commercial fit-out, we are driven by our desire to provide the highest level of satisfaction to our homeowners from start to finish. For almost 40 years, Duff Builders has served our local community as a premier home building and remodeling company, specializing in new home construction, additions and renovations. As part of our commitment to providing you with the services you need, Duff Builders offers in-house design or thorough review of your existing plans. We value your wishes and privacy as a homeowner, and offer flexibility in scheduling and accommodating special requests. When Duff Builders contracts to build or remodel a home, you are getting experience that dates back to when Joe Duff was five years old. His father was a builder and allowed young Joe to help pound nails into drywall, marking x’s where the nails should go. His father always took the time to work along with Joe. He began his own business in his home in Holtwood in 1979. Within the year, he had built his first house. In 1991, the volume of business made it necessary to relocate to the Willow Street area. Looking back, Joe is proud of how much his company has grown into a successful business. Joe attributes much of his success to having a team of expert craftsmen and top-notch office staff. Joining the company several years ago were both his daughter, Laura Schroeder, and son, Joe Duff IV. All three know the importance of family in business and strive to apply those family values to every meeting with a customer. Charter Homes is the leading home builder in Central Pennsylvania. Charter Homes offers new homes in Lancaster, York, Harrisburg, Mechanicsburg, and Pittsburgh. Brentwood Builders is a custom home builder in Lancaster, York, Lebanon, Adams, Dauphin, Chester and surrounding counties. Our goal is to combine our experience in construction with our love of helping people bring their visions of a new home to life. The heart of every family is the place that they call home and we feel honored to be a provider of these beautiful custom homes in Lancaster, PA.
Over the last 46 years, we have perfected the art of home building and remodeling. We believe there is no greater service than satisfaction guaranteed. Therefore, you will find no high-pressure sales tactics, just simple, honest, and forthright solutions to your needs. For Oberlin residential home builders who also act as developers, the job starts well before the first nail is driven. They perform local market research to determine whether the prospective homesites make sense in the Oberlin, PA market, as well as survey the land on which the house will be built to make sure it is suitable for construction. Custom builders also obtain the necessary permits. A good custom home builder in Oberlin, PA has skills that go far beyond construction — he or she must supervise subcontractors and artisans; keep tabs on local zoning regulations, building codes and other legalities; inspect work for problems along the way; and perform dozens of other roles that are essential in building a quality house. Here are some related professionals and vendors to complement the work of home builders: Interior Designers & Decorators, Landscape Architects & Landscape Designers, Architects & Building Designers, Kitchen & Bath Designers, Specialty Contractors. House builders are responsible for ensuring that the home-building project sticks as closely as possible to the specified timetable, particularly in the event of change orders. Custom and luxury home builders in Oberlin, PA also need interpersonal skills to deal with clients of all types, soothe frazzled nerves, negotiate conflicts and resolve problems. 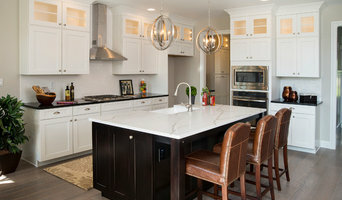 Find custom home builders in Oberlin, PA on Houzz. Narrow your search in the Professionals section of the website to Oberlin, PA home builders. You can also look through Oberlin, PA photos to find a house you like, then contact the builder who worked on it.